EARLY BIRD MAKES THE SAVING! As 2012 draws to a close and we start planning for 2013, Boston City Campus & Business College is inviting all prospective students to enrol and pay their deposits early in order to avoid the annual tuition price increases and qualify for this year’s fees. All students who register and pay their deposits by 10 December 2012 will benefit from this special offer. Registration is easy. The first and possibly most important step is to get down to your nearest Boston City Campus & Business College branch and complete the FREE Career Compass Assessment, valued at R500. This computerised assessment asks a variety of questions and aims to match the participant’s interests and skills. Together with the help of a career counsellor, the results will help you choose the most appropriate career path and choice. Once you have decided on which course is right for you, you will need to complete the registration process and ensure you pay your deposit before the deadline and then get ready to launch an exciting new career with Boston City Campus by your side. This kind of commitment and dedication has been recognised with Boston having been voted Coolest College in the Sunday Times Generation Next 2012 Survey, Best College 2012, now that is four consecutive years in The Star Your Choice Awards together with Best Computer Training College 2012. And finally, Best College 2012 in Pretoria News Your Choice awards. 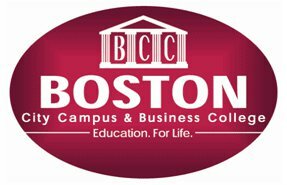 For more information on selecting your nearest Boston City Campus & Business College branch, please visit http://www.boston.co.za/.